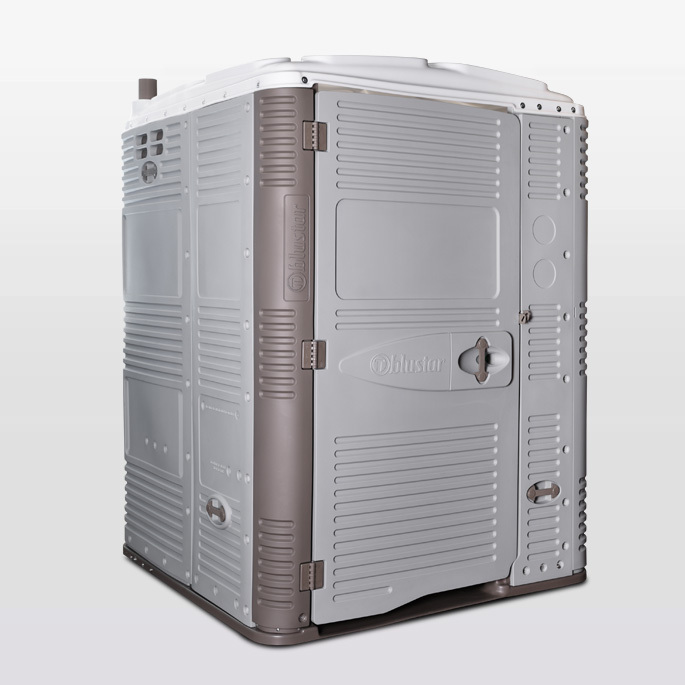 T blustar, the modern manufacturer of Portable Restroom, has production facilities and sales distributors worldwide. Let’s focus on the Latin American headquarters, located in Monterrey Mexico providing all of Central & South American countries with a portable toilet made locally, benefiting this immensely populated part of the world. José Davila Bracho, general manager of the Latin American facilities and part of the Mexican team since the beginning, gave us some insight about the Monterrey Mexico location… Keep reading to know more! 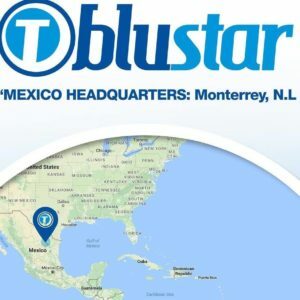 T blustar® Latin America’s Headquarters are located 200 km from the US Texas border in Northern Mexico, more precisely in the industrial city of Monterrey Nuevo Leon. With an easy access to Santa Catarina district, right on the highway that connects Monterrey with other main Cities in Mexico. T blustar® Headquarters includes Administrative and Sales Office, Production facility, Warehouse and Main Distribution Center. As the production facility is onsite, they manufacture the Portable Toilet MyMex. The MyMex portable restroom was designed to meet the requirements of the North, Central and South American market. MyMex is a double wall toilet manufactured by rotational molding process, ensuing a light weight yet durable and resistant product to satisfy heavy-duty operation. For the Mexican customers, “producing in Mexico offers huge advantages because they avoid all import hassles and they pay in Mexican Pesos”, José told us. Additionally, the Mexican customers do not have to worry about abrupt price changes because of exchange rate, such as when they buy in American dollars from US manufacturers. “Mexican customers have easy reach to domestic transportation, our acceptance of minimum quantities orders, spare parts available at any time and personalized Spanish speaking Customer Service”, José explained. Regarding the South Americans customers, they have similar advantages buying in Mexico: for example the Spanish speaking customer service, free trades alliances that brings savings on tariff fees, plus fast and easy access to shipments. T blustar® Mexico can easily provide Portable Toilet to all the Americas, including Canada, the United States of America, Mexico, Central and South America, although they really focus on the Spanish speaking countries in Central and South America. Thanks to the market good response and a high demand, T blustar® products made in Mexico are currently selling all over the Americas. 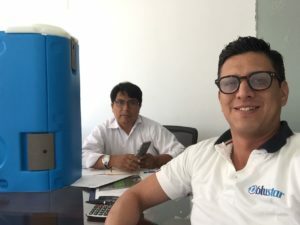 The facilities in Mexico have stock of toilets (standard colors), accessories and spare parts, in order to answer any customer needs as fast as possible. Standard colors of MyMex are Navy Blue, Green, Orange, and Pink. For the future, T blustar® Latin America is looking forward to grow with satisfied and recurrent customers who have continuously depended on T blustar® for their Portable Toilet operations. They want to continue to offer special customer satisfaction, but mostly a real solution for Portable Restroom Operators: products answering their needs, made locally, and with REAL advantages for them. José comments: “I am very proud to be part of the T blustar® Worldwide Family. Even if we are a young Company, we are growing quickly worldwide by offering new products and a personalized Customer Service. Currently T blustar® is designing innovative products that offer easy operations to our customers and their customers. T blustar® products are very attractive, creating a clean and innovative image. All of us, in the T blustar® team in Latin America, are committed with the vision and goal of our founders to accomplishing our professional and personal projects. Our Worldwide team and T blustar® Latin America are very close, and well directed to give to the Portable Toilet Industry a better service and products. I can personally say, T blustar® is a great place to work”. The T blustar Mexico team is open to welcome any portable toilet operator to visit them in their main office, to meet and discover their products. The international team is also available to go and visit customers in other countries: “we are tracking any opportunity to visit potential client within the America’s”.